The latest Intel CPU Haswell has hit the markets. But is Intel Haswell CPU worth your buck? If you are an avid follower in the IT world, you would have noticed that a new Intel chipset is launched almost a couple of years in between them. It starts with the first Intel I-core, Sandy Bridge, Ivy bridge and now Haswell. I have been holding back my purchase of a new laptop since it might be outdated really soon. I was hoping to settle down for a technology that will be able to hold the fort for a few years. It looks like the time has come. But do not be mistaken, it won’t be about buying a Haswell, but instead I will be buying an IVY bridge. Lets take a look at some of the improvements in the Haswell chip. This is the greatest improvement ever recorded as stated by Intel. They have been making improvements to the power efficiency, but 20% is the best margin ever. Despite using less power, it is able to deliver the same amount of speed as the IVY bridge. 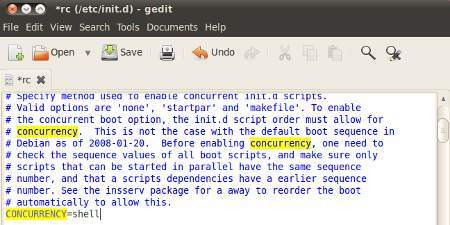 Oh wait, did I just make a mistake in my sentence. Deliver the same amount of speed as the IVY bridge? Shouldn’t Haswell be faster? Fact is, Haswell chips deliver the same amount of speed as the IVY bridge. The amount of battery improvement will not be as definitive as a netbook to a laptop, but it will make a huge difference if the same CPU is found on a hybrid laptop. 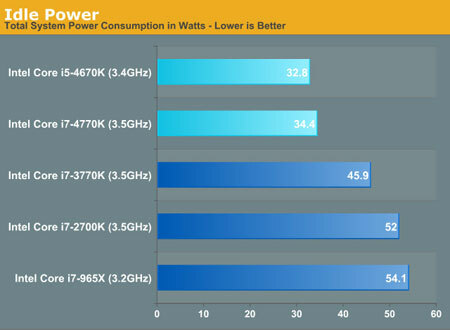 Imagine the possibilities of a tablet with a processor that can run as fast as an IVY bridge, yet saves lots of power. In short, a Haswell notepad allows you to get 9 hours of idling in Windows 8 and 6 hours of non stop HD video playback. Note that lab tests found that the Haswell chips did poorly when it comes to over clocking. In fact, it was not even able to be on par with the IVY bridge chipsets. Powerful Intel HD 5000 graphics. 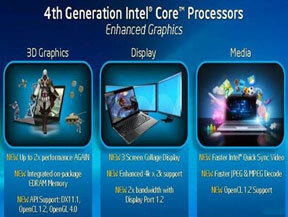 The quickest existing Sandy Bridge version of Intel’s HD Graphics tops out at 16 execution units and 1,150Mhz. With Haswell, there are 40 units and 1,300MHz. That works out to be over double the raw performance. And that’s not all, there is a 128MB slab of eDRAM to Haswell. It actually operates as a shared L4 cache for both the graphics and the CPU cores. It provides additional bandwidth for data to flow between the CPU and the integrated graphics. In summary, there is no much of a huge improvement in the Haswell to die for. Unless you really need that extra couple of hours on your laptop, current prices for IVY bridge should head south and unless you have a lot of spare cash in hand, I will really hold my horses and just aim for a IVY bridge system that is on a discount. After all, I would rather pay for actual performance improvement then just battery savings.